Nor stamp hard on the ground neither from Amelia Crouch on Vimeo. Commissioned by Pavilion, Leeds responding to Whitley Beaumont – a landscape that has been attributed to the landscape architect Lancelot 'Capability' Brown. 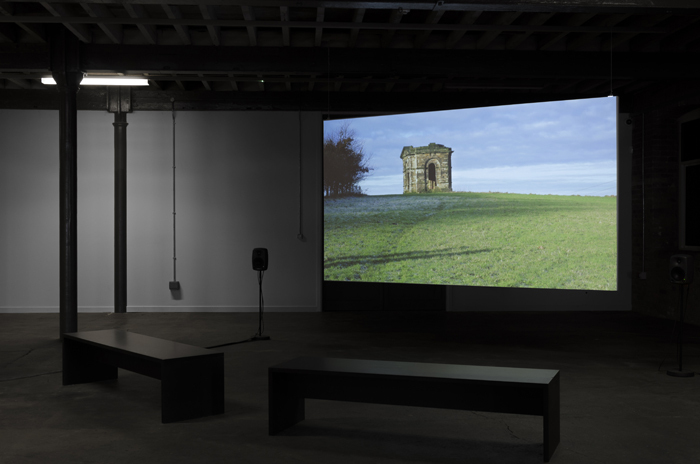 Exhibited at The Calder, The Hepworth Wakefield as part of 'The Follies of Youth' exhibition. The video depicts a series of actions, performed in the landscape and based on instructions from an 18th Century etiquette book about how a gentleman ought to walk. It combines two things that appear natural (Brown’s landscapes and a particular manner of walking) but that are actually cultural affectations from a particular period in history.